The text of the note was simple enough. 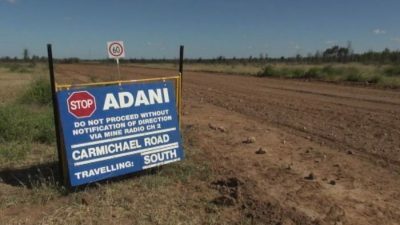 That same year, the British medical journal The Lancet deemed the Adani mine project a “public health disaster” though Australian authorities remain indifferent to recommendations that independent health assessments be conducted on the impact of the mine. In very tangible ways, air pollution arising from the burning of coal is a global killer. Australia’s menacing own contribution to this casualty list comes in at around three thousand a year; in India, the list, according to a 2013 study by the Mumbai-based Conservation Action Trust, is an eye-popping 115,000. Adani, not to be deterred by delays of some six years, has suggested that it will pursue a different model, though this remains vague. Extravagance is being reined in, supposedly trimmed and slimmed: targets will be cut by three-quarters, and the company has now promised to finance the project itself. Dow has become a missionary of sorts, repeatedly telling Queenslanders that the project can only mean jobs, and more jobs. Astrological projections more in league with tarot card reading are used. Last November, Dow, in a media statement, was brimming with optimism over those “indirect jobs” that would be created in Rockhampton, Townsville, Mackay and the Isaac region.